(19) a false witness who speaks lies, and one who sows discord among brethren. In 1981, Roger Faulkner had been a member of a Church in a Chicago suburb for nearly two years. He had served as a Sunday School teacher for more than a year when the position of superintendent became available. Roger was excited about Sunday School and felt that he would be an ideal successor to the position. He went to the pastor and shared his vision and desire to serve, but to his disappointment the pastor and church board later chose someone else to serve in that post. Roger was very offended that he wasnt considered for the job, but didnt say anything to the pastor about it. As the weeks wore on, Roger became increasingly negative and critical toward the church and the people. He began to find fault with the new superintendent and the Sunday School program. He began attending services less and less. Jeff Billings, another Sunday School teacher, began to notice something wrong with Roger. After church one Sunday, Jeff invited Roger out to lunch. For an hour, Jeff was amazed to hear Rogers complaints. For many weeks afterward, he met with Roger several more times, hoping to encourage him, but to no avail. Instead, he began to empathize with Rogers criticisms. It wasnt long until Jeff too began developing negative attitudes and eventually even resigned from Sunday School. Bill Stedlund, a friend of Jeffs, took notice that both he and Roger were not as active in the church as they used to be. He observed that when they were in attendance, they usually sat together and would often whisper to each other during the services. He realized that something was wrong. Roger and Jeff were offended by Bills lecture and thereafter avoided his fellowship. But months later Roger became convicted about his sinful attitude and realized that this was why the Lord had not been answering his prayers.If I regard iniquity in my heart, The Lord will not hear (Psa. 66:18). He repented of his sin and asked the Lord to forgive him. A few days later he went to the pastor and the other Christians that he had bad-mouthed, and asked forgiveness. Roger recovered from his troubles and continues to serve the Lord to this day. Sadly, the person whom Roger had influenced most, Jeff, became more critical and bitter. The discord had taken root and had severely damaged Jeffs faith. Unfortunately, discord is like a bad apple that will spoil the whole barrel  an infection that the Devil uses to spread his evil disease. Christians must never forget that their words can promote life or death, unity or division, love or hate. Although Roger was forgiven for his evil words sown, yet his mouth was an instrument of murder to his friend, Jeff, and others. Satan used his mouth to nearly destroy a whole church. How many souls have been murdered with the mouths of discontent believers? The hypocrite with his mouth destroys his neighbor... (Prov. 11:9). The Bible clearly warns us to mark those who cause division and strife and to avoid them. They are used by the Devil to cause trouble to the church and to the work of the Gospel (Romans 16:17). Are you a sower of discord? Are you being used by the Devil to cause division and strife in your church? If so, be warned of the severe consequences that you will face unless you repent of your sin and bring your mouth under control. 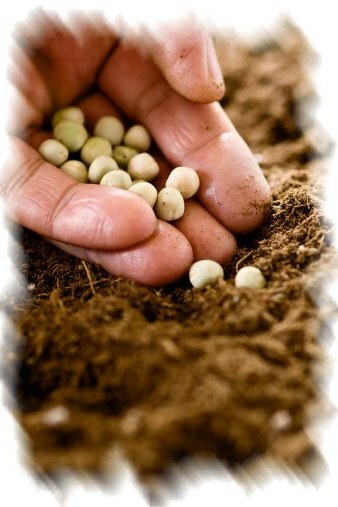 God promises, the sower of discord will face calamity. A worthless person, a wicked man, walks with a perverse mouth; he winks with his eyes, he shuffles his feet, he points with his fingers; perversity is in his heart, he devises evil continually, he sows discord. Therefore his calamity shall come suddenly; suddenly he shall be broken without remedy (Prov. 6:12-15). If you cant say good things about your church, then keep your mouth shut. If you dont think the church or its leaders are doing what they should, go talk with them privately. Pray daily for God to help them. And if you still dont think the church is doing you any good, then get down to the altar and pray until it does, or get out of there and find one that will! Whatever you do, dont become an adversary to the church, its leaders or people! Regardless of what you think about your church, it belongs to the Lord, and if it is in error Hes big enough to correct it without your complaints. If you become a trouble-maker to your church, you will make yourself an enemy to Jesus (Matthew 25:40), and He warned against becoming a stumbling-block to the faith of believers lest you face severe judgment. But whoever causes one of these little ones who believe in Me to sin, it would be better for him if a millstone were hung around his neck, and he were drowned in the depth of the sea (Matt. 18:6). *The account above is a composite of several actual scenarios that occurred at different times. The names and places have been altered to maintain anonymity. This article (VL-104) is copyrighted © by Dr. Dale A. Robbins, 1990-2019 and is a publication of Victorious Publications, Grass Valley, CA - Nashville, TN. Unless otherwise stated, all scripture references were taken from The New King James Bible, © Thomas Nelson Inc., 1982. You may download this article for personal use as long as you retain credit to the author. Obtain permission before reproducing copies for any reason, by filling out our simple use permission form. Many of our writings are also available as free pdf tri-fold pamphlets, which can be downloaded for reproduction from our Online Catalog. For media reproduction rights, or to obtain quantities of this title in other formats, email us. If you have appreciated these online materials, help us reach the world with the Gospel by considering a monthly or one-time tax-deductable donation.